Have you ever been curious as to what guides and strengthens a Reiki session? How a practitioner can target and focus energy to heal what bothers you? 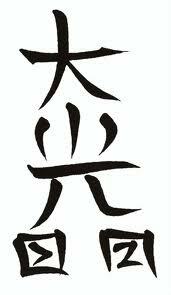 The answer is a better understanding of the four traditional Reiki symbols. 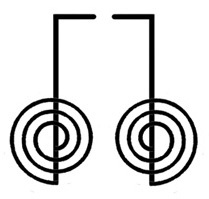 These four symbols are used to direct energy during a healing session. It’s easiest to think of the symbols like keys, which open doors to specific energy frequencies found in the universal life force (chi/ki). When using a symbol it is like the practitioner is “dialing in” to that particular frequency, giving the intention energy and making the most of the healing. b. This is an all-purpose symbol; it means essentially ''put the power here''. It can be used to increase the energy flow overall or in particular areas of the person's energy field. b. Primarily used to send Reiki healing over distance and time (past, present, future), this symbol is also associated with healing karma and strengthening spiritual connection. Its frequency is similar to forgiveness. Want to learn more? Diane Stein's book Essential Reiki is a good one and a these few others along with excellent music for Reiki and meditation.